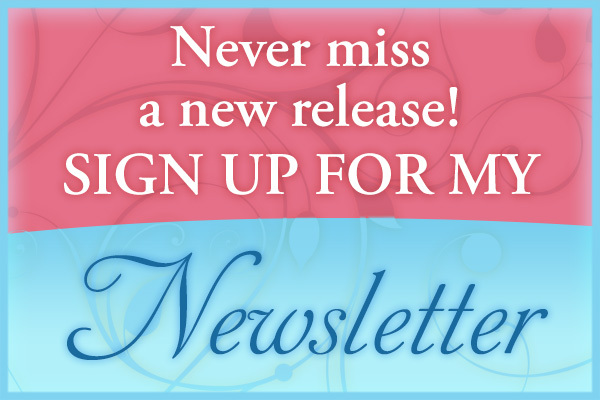 So first, today I’m guestblogging over at Romance Vagabonds, so puh-leeze come stop by! My post over there is all about my continuing quest to craft the perfect one-sentence hook – and I need some help. Writing the blog made me realize that the GOTH blurb on my website was long overdue for a change. As a girl, Lucy Waltham wanted to be ‘one of the boys.’ Now Lucy’s grown into a woman, and she wants … one of the boys. Orphaned at the age of eleven and left in her brother Henry’s care, Lucy refused to languish in the schoolroom while the men had their fun. 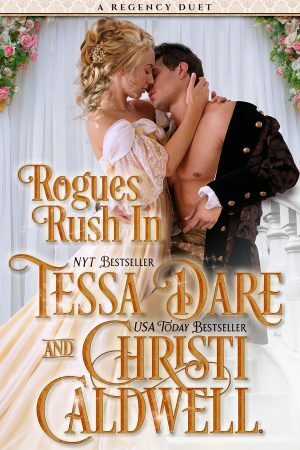 She’s spent eight autumns in their company, hunting, fishing, and worshipping Sir Toby, her brother’s rakishly charming friend. Now Toby’s about to become engaged to the angelic Sophia Hathaway, and Lucy is desperate. Seduction is her weapon; Toby, her target. All she needs is practice. She turns to another of her brother’s friends – Jeremy Trescott, the Earl of Kendall. Jeremy taught her to angle for trout and snare a grouse. Who better to give her lessons on trapping a man? Against his better judgment, Jeremy agrees to her scheme. He reasons he can distract Lucy long enough to save Toby’s engagement and Lucy’s reputation. But what starts with a kiss (Or two. All right, three.) sparks into a fiery passion. And when Sophia’s angelic halo slips, Lucy must choose between the love of a girl’s dreams and the desire of a woman’s heart. Once I finished the book and began working on my query letter, it became clear that this hook just wouldn’t do. It ends, as CM once so saliently put it, on a ridiculous question of “love-or-radish” proportions. As in, “Will she choose the love of her life? Or will she choose to be beaten about the shoulders with a rotten radish?” Lucy’s choice is obvious, of course. Who would pick girlhood dreams over womanly desire? Sheesh. Not me. This is the new blurb, which closely resembles what’s in my query letter. (But my query letter doesn’t have those headings, of course!) I tried to keep the same light, comic tone, but end on a note of conflict. Lucy Waltham is about to turn poacher. She’s spent eight autumns with her brother’s friends, angling for trout, snaring grouse, and admiring the rakishly charming Sir Toby. When Toby plans to marry another, Lucy vows to bag him first. With a few practice kisses under her belt, she’s ready to give chase. But instead of luring the dashing knight, Lucy reels in a much bigger catch. An earl. 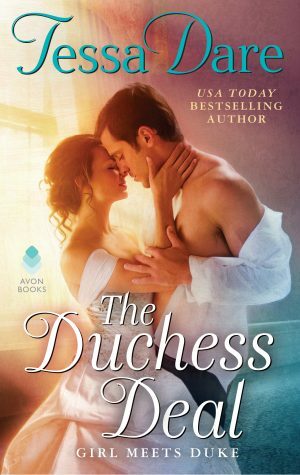 Plagued by would-be wives, rioting tenants, and the ghosts of a boyhood tragedy, Jeremy Trescott, the Earl of Kendall, has plenty of problems. He’s about to get one more. For eight years, Jeremy’s kept his friend’s pestering sister at arm’s length. Until the night Lucy runs into his arms, and her ‘practice’ kiss sparks a fiery passion. Suddenly, the chit he’s always ignored is the woman he can’t forget. A passion that can’t miss! When a scandal threatens to ruin Lucy, Jeremy takes matters – and a compromising letter – into his own hands. His impetuous gallantry costs him a friendship, his dignity, and his bachelor freedom. He’ll be damned if he’ll lose his heart, too. But Lucy needs rescuing like a fish needs a curricle. She wants love, and she won’t settle for less. Notice that this one also makes it sound as though the hero actually does something in the book. It also keeps mention of secondary characters to a minimum. Of course, in between these versions were about a dozen other attempts. I re-wrote this thing until my brain hurt. Be honest, which do you like better and why? Did I trade up, or make a change for the worse? Are the headings in the new blurb just too cheesy? My understanding is that we are supposed to re-write these until our brains hurt, or we despise our WIP so much that we abandon the thing entirely. Quite frankly, when Eloisa said she found the entire process almost beyond her on Squawk the other day, I did feel better. And yes, I think your second blurb is good. But I really like a lot of the first one as well. Chopping the secondary characters is probably a good idea (sigh). You know I love the second one. 🙂 The first one wasn’t bad, but I don’t think it did a great job “selling” your book. I like parts of both of them, Tessa. I like the build up of the hero in the second one, but I like the herione in the first one. Does that make sense? I think the second one is terrific, Tessa. I love the fish metaphors (fish needs a curricle–bwa!). I am TERRIBLE at writing blurbs/hooks. I swear it’s my nemesis. I have no problem with synopses; they don’t scare me a bit. But blurbs reduce me to a quivering mass of jelly. My inability to write a halfway decent blurb is one of the reasons I still haven’t queried ASL properly. It’s good to hear actual published authors have trouble with this, too! I do think some people are really good at it while others of us struggle. And I’m definitely in the the struggler camp! I am the dissenting vote in that I prefer the first version. But if you could just get a bit more of Jeremy in there (from the second) and change the last sentence, I think it would be perfect. I think the struggle here is to give an equal light to both characters while giving enough of the plot to sell it. In a blurb! So glad I’m no where close to this stage. Wow, what a difference!!! The second, of course, far superior. Definitely paints a more intriguing picture of the book and makes you want to pick it up and read. Good job! I love the second one. . . the first one was okay. But unfortunately, “okay” doesn’t sell books. Though there are many things I like about the first one, I definitely prefer the second. I’m reading a book on making ideas stick, and your second hook definitely has more elements that contribute to stickiness – it’s more concrete, more unexpected. It’s also fits the conventional hook format. I like the first version a lot. And the second version, felt a little lacking in comparison for me. I, like Terrio, would like the bit about Jeremy to be applied to the first…but yeah, we’re the dissenting few. Good luck! Thanks, guys. I agree that the first one does a better job of introducing Lucy. And if this were a chick lit, that might be enough. But since it’s a romance, I have to sell the couple. I had to sacrifice some of her characterization to fit in Jeremy’s, and sketch the conflict between them. And Jacqueline, thanks for liking the ‘curricle’ line – that’s my favorite part, too. There may be some youngin’s among us who don’t know the famous Gloria Steinem quote that goes something like, “a woman without a man is like a fish without a bicycle.” By alluding to that, I’m hopefully signaling the agent/editor that this is a modern, independent heroine in a historical setting – if you can handle one more pun, a ‘fish-out-of-water’ story. I must say, at the risk of jinxing myself – the second query has been quite successful in garnering requests. I like both of them, but the second one really pops, I think. I particularly liked the way you used the hunting terminology in the blurb on Lucy. Good luck! I also really love the second one – especially that last sentence of the Lucy paragraph, you did such a great job of grabbing the reader’s attention with that one. And though I haven’t read GOTH, I do think the 2nd gives more information about your writing style…it’s very light, witty, but still interesting and to the point. In my not-quite-there-yet mind, hooks and blurbs are completely terrifying- so I’m even more impressed with both of yours, Eve! The one you wrote first I LOVED. Envy raced through every pore! The second sounds more professional, and more likely to end up on the back of a book. But I really, really loved the first one.